Just being in an Aman will put anyone in a state of peace (no surprise that Amanpuri means place of peace). The incredibly luxurious, boutique resorts are known for the incredible locations and hospitality recently rolled out their extensive and highly bespoke wellness programmes that tackle concerns like weight management and fitness. For urbanites, sessions with master of destress Anamai Apaiso are a must. We were the first to preview their wellness programme. 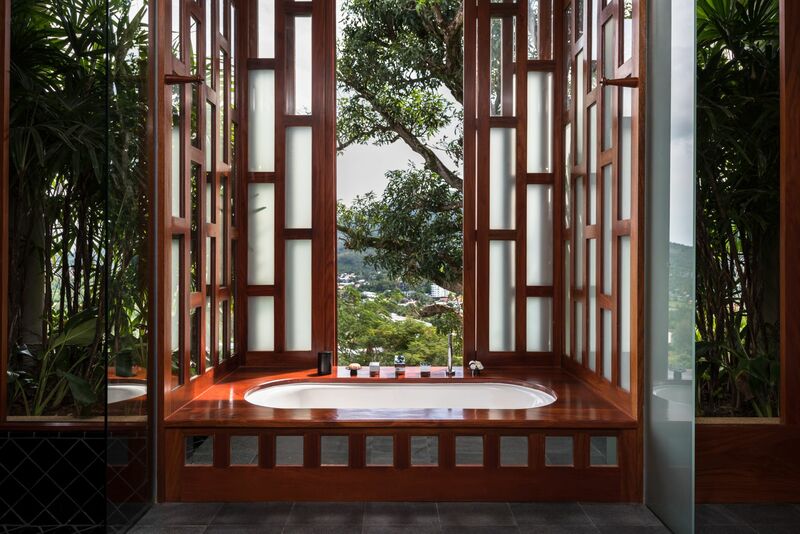 The flagship property of Christina Ong’s highly-successful family of resorts, Como Shambhala Estate is a health retreat with two award-winning restaurants (Kudus House and Glow) and six key wellness programmes. There are specialists in Ayurveda, reflexology, yoga, Pilates, oriental medicine, aqua circuit training in the Vitality Pool and TRX (total body resistance training) amongst others. Tatler Tip: Get a water blessing at The Source, an ancient spring of holy water on the property. Opened in 1995, Chiva Som is the great dame of wellness resorts; they’ve been around before wellness was a buzzword. In fact, they are a registered hospital but dressed up as a contemporary, welcoming spa retreat that has an extensive list of wellness services. Besides the standard detox and destress options, every conceivable form of treatment is available too: there are holistic treatments available for more specific needs, such a cranial relief for life-disrupting headaches, post-cancer recuperation; even a medical wing that specialises in aesthetic medicine. A resort by a calm saltwater lagoon. No kids allowed. Unlimited—yes, you heard it right—massages in your villa. We know you’re probably booking a weekend there already. This a highly-indulgent retreat is exclusively catered to Banyan Tree Spa Sanctuary Villas guests, and includes healthy meals, wellness activities and all-you-can-spa massages from a menu of 10 treatments, which includes Ayurvedic, Balinese, Sports Therapy or even a personal Hydro Experience. Be unabashedly pampered and re-energised at this modern, luxurious beachfront spa resort that offers two spa treatments a day in its room rate. The therapy menu is worth gushing over, and involves two-hour-long body wraps to facials and scalp messages, amongst others. In between massages and meals, Fusion Maia follows a seven-principle guideline, and each day’s activities (which include yoga, martial arts, meditation and even beach walks) has an individual focus. Truly, this is perfect for design-conscious wellness travel seekers (after all, an Instagram post while seeking zen doesn’t hurt). Upon setting sight on the resort, The Slate feels out-of-this-world: its architecture is a combination of references to Phuket’s tin-mining history and a daring industrial aesthetic. Just look at the spherical treehouse exterior of the Coqoon Spa, a ultra-chic haven which creates a personalised spa programme for each guest to recharge and rejuvenate. The highlight of Kamalaya Koh Samui is that its premises built around a spiritual ancient cave, once used by Buddhist monks for meditation—now available for guests to do the same. The award-winning retreat has a range of programmes that cater to weight loss, detox and holistic fitness, headed by experts that specialise in traditional Chinese medicine (such as acupuncture and Tui Na), Ayurvedic therapies and homeopathy. What’s interesting is that on top of the familiar spa treatments, sound healing as well as emotional and spiritual healing are available too. Situated in Ubud near the sacred Ayung River, Fivelements Puri Ahimsa has its roots in Balinese traditions and its way of life, which encourages harmony between spirit, nature and people— and sometimes involves fire blessings and water healings. The wellness programmes are individualised and focus on healing therapies, spa rituals and sacred art healing. Its Sakti Dining Room is a key highlight: entirely vegan, with a strong focus on organic, raw cuisine. This is the Chiva Som of Philippines: a holistic medi-spa which has a wellness solution to almost anything you might want to sort out in a healing retreat. The Farm opened its doors in 2003 and is nestled in a luscious rainforest jungle that highlights its back-to-nature principals. The award-winning restaurant Alive! Restaurant is renowned, as is the team of medically-trained doctors headed by director Dr Marian Alonzo. The customary menu of wellness and indulgent offerings is available, together with a good variety of retreats that focus on managing diabetes and heart health. Here’s a secret you don’t want to share: The newly-opened Bawah Island is a stunning new private island that is three hours from Singapore, via a short ferry ride from Batam and a 75-minute private seaplane. The eco-designed resort that sits in a marine conservation area in the previously uninhabited archipelago will inspire guests to get in touch with nature as they explore the 5 islands, 3 lagoons and 13 beaches. Post-hiking, guests can indulge in its Aura wellness centre (which provides spa, yoga, Pilates, meditation, and reiki sessions) and some kampong-meets-luxe open-air cinema sessions.